The Best Modern Automotive “Technologies” !!! | Redline: Live to Drive! Now then back to the topic of cars, needless to say the difference in technology between decades, even sometimes between a single model year and re-design can be revolutionary. Most of the time new/breakthrough technologies begin as an idea to test the limits of what cars are capable of. These revolutionary ideas are tested in concept cars and eventually can make their way into actual production vehicles, most of which are found in the flagships of luxury car makers. Things like the ABS (anti lock brake system) was first introduced in 1978 on a Benz, The smart key (being able to access your vehicle, start it without actually requiring the a key in it’s traditional sense) was introduced in 1997 in a Benz as well. Such technologies that we use day in and day out seamlessly were once revolutionary technologies and something only the wealthy had access to in their premium car purchases. Automotive technology continues to impress in so many ways, especially when it comes to safety, fuel economy, convenience, reliability and at the same time improving in virtually all performance categories. However many of these technologies are absolutely ridiculous, quite frankly they ruin the driving experience and dumb us down as a human race as far as I’m concerned. The technologies that make me sick to my stomach are those that try to create “soul” artifically, and let’s just say this is a soft spot and simply infuriates me. A future blog post will shed light on some of this most ridiculous automotive technilogies……AAHHHHH AHHHH AHHHHH CHOOOOOO PARKING ASSIST! !…..oh excuse me, sorry about that. Ok Tom, you have lost you mind, really?? Night vision is one of the most revolutionary technologies of modern times?? Who the hell is going to drive with their lights off and also why on earth would someone be looking on their info screen rather than focusing on the road ahead when travelling at speed?!? All very true people, but then again having the extra clear images of animals, people, etc displayed much more clearly with warning sensors to notify the driver may actually prevent a serious accident from happening. You can never have too much safety nets in place for our families, friends and ourselves. On top of all that here is some food for thought. Any headlamps, especially today’s bi-xenon projector beam headlamps are so damn powerful and noticeable…..yet what if your borrowing dad’s car to go visit your GF your not supposed to visit knowing that her father is going to murder you at first sight? Night vision of course!! I know those dirty Germans think of everything! How the hell are you supposed to drive through the bush when both of your headlights randomly blow up in their housings? Happens all the time, no?? Husbands who are heading out for drinks with the guys when your supposed to be at home completing the “to do list” your wife has laid out of the table for you to complete by morning, yet the minute you try to leave those damn headlamps blow your “escape” cover? Come of people!! Or maybe you should do complete the “to do” list for the 1% chance you have of getting laid by your wife (if your less than 1 year married that is and still crave your wife)…..Tough decision to make…..ahhhhh who are we kidding let’s go get drinks! Oh and same thing for the wives for girls night out! All you drug dealers out there who need to make a drop or pick up or whatever deal is, nice to not be obvious in your S-Class, A8, 7-series?? Wouldn’t it be easier for your pick up and drop off’s to be done in the middles of the night in a forest? I’m just saying people, it has it’s other uses. Basically any type of badass (aka completely stupid and ludicrous) situation this technology can be of great use! But back to a serious note, these technologies save lives and ultimately that’s the most important type of automotive technology. Live….and I mean “Live” to drive safely. Here is a description from Wikipedia which sums it’s up in a technical sort of way: A semi-automatic transmission (SAT) (also known as a clutchless manual transmission, automated manual transmission, flappy-paddle gearbox, or paddle-shift gearbox) is an automobile transmission that does not change gears automatically, but rather facilitates manual gear changes by dispensing with the need to press a clutch pedal at the same time as changing gears. It uses electronic sensors, pneumatics, processors and actuators to execute gear shifts on the command of the driver or by a computer. This removes the need for a clutch pedal which the driver otherwise needs to depress before making a gear change, since the clutch itself is actuated by electronic equipment which can synchronise the timing and torque required to make quick, smooth gear shifts. Now in normal human terms, it’s a manual transmission that uses a series of computers/sensors/gadgets/pumps/etc to do all the gear changes for you. It’s a manual without a clutch pedal to sum it up. There are little trasnformer esq robots that basically do all the work for you and dumb down the performance driving experience. The primary purpose of this technology is to extract the maximum performance out of the vehicle it’s equipped on. It can snap off shifts on average from 50-250 milliseconds, that’s including down shifts with rev matching !!! Do you think you can shift gears manually in that time?? Are you able to heal and toe a down shift with proper rev matching and at the same time focus on your lines/apex on a track day in that amount of time??? There is a reason why all car companies are switching to the exclusive use of sequential manual Gearboxes for their sportiest models for the simple fact that is produces better lap times, straight line acceleration, ease of performance extraction for the average driver, and even improved fuel economy. These transmissions used to be found exclusive in Formula one cars, slowly made their way into high end sports cars as an expensive option, and today they are mainstream and found in many entry level cars of virtually all auto makers. Now how does this make sense at all?? You have a car with more HP, TQ, similar powers bands throughout the RPM range, and a lower curb weight yet the car is “significantly slower” than the the modern GT3. The major difference is the transmission as well as launch control. A 6-speed manual is no match for a Formula 1 derived sequential manual than shifts in under 100 MS according the Porsche. If they both had the exact same transmission I would guarantee that the RS 4.0 would be the superior vehicle in respect to straight line performance without a doubt in my mind. But there is one thing that is lost with all of this, it’s the end of an era of man having control of his machine, sadly the manual transmission is almost completely dead. No matter how amazing and superior these systems are, some of us true gear heads will always yearn for the soul that a traditional manual gives to a high powered supercar. Even with the loss of soul, there is no denying the benefits of a proper sequential manual. When you have the likes of a Porsche PDK and Ferrari F1 gearbox snapping off sub 100 MS shifts from those symphonic motor masterpieces, how could you not fall in love? Even the most well known journalists in the world would agree that after driving a properly set up Sequential manual, the desire for that third pedal fades away rather fast…..but it always returns! 3) Sportscar Hybrid Technology: Hybrid vehicles are vehicles with two or more power sources in the drivetrain. There are many different types of hybrid vehicles, gasoline internal combustion motors (IC) and an electric or series of electric motors work in conjunction with eachother to increase fuel economy, performance and reduce emissions. Initially hybrids were considered the Zombie of the automotive industry to gearheads such as myself, a perfect representation of a soulness vehicle, especially in the form of any Toyota which only of late is finally re igniting it’s passion for Motorsports in their road cars. Let’s use the Prius as our primary example, a complete lack of soul but then again it’s primary purpose of efficiency and environmentally friendly transportation is what the vehicle was meant to accomplish. 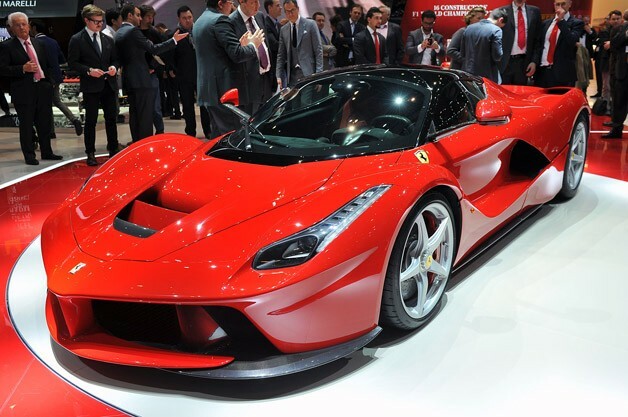 With strict rules for all auto makers in place when it comes to mandatory gas-mileage and emissions standards, all manufacturers, even Ferrari, need to follow these conditions. 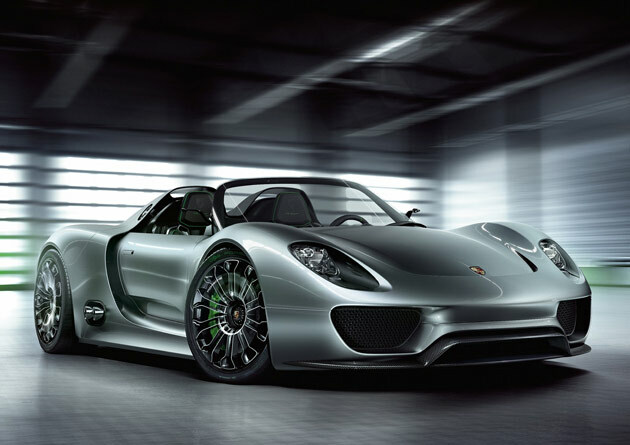 Let’s just say that modern day hypercars have definitely pushed the envelope when it comes to efficiency and performance, case in point the Porsche 918 Spyder. Unlike several supercars coming out in the near future that start with an efficient IC motor, the 918 spyder, McLaren P1 and LaFerrari both start with Gas guzzling, Legendary high revving monsters, and simply add Hybrid motors intricately to create hybrid bliss. These cars break the 7:00 minute nurburgring lap time each with approximately 900 HP +/-, achieve ludicrous gas mileage ratings on hybid power only, and produce the best engine notes on the planet (Excluding the P1). These are the true pioneers of what hybrid technology is all about. IF anyone else has any other suggestions please comment and email me as I would love to add some more technologies that you may think are the best of today’s day and age…..but please I don’t wanna hear about start/stop, cylinder deactivation stuff…..basically nothing with “fuel economy” as the only benefit. ← Ultimate Acceleration Comparisons via M5board / Dragtimesinfo !! Star Trek was quite visionary in it’s use of computers and various hand held devices. I saw Gene Roddenberry speak in 1977, and I was very disappointed that the only vision he had for the future was the television. Bah! Humbug! I haven’t had a television in over 30 years, but I use computers and hand held devices daily. There are still promising technologies to be discovered from the original Star Trek series, but for some reason Star Trek’s creator didn’t seem to imagine them ever going beyond the television set. I am not into cars… my husband bought my cars all thru the years. He loves convertibles though … once owned a Mercedes Benz 450 SL, then sold that, then an Infiniti M20 which he basically gave away to a friend, now we have a Volvo C70. Yup, I know the models and enjoy our Saturday rides along the coastline of New England…but that’s about it with cars for me. I just stop by to say your post are very informative and entertaining. I just started to blog this year and reading posts like yours that are free-styled and spontaneous are helping me a lot… so thank you! From time to time, I’ll stop by, keep up the good job! Best! HUGE Original Star Trek fan… and yes, the Future is here, well no it’s not… not until I have my own personal TRANSPORTER! great post! Thanks for the great comment haha!! Your analogy of Star Trek technology is something that always makes me think about the film industry. Do they have inspiring imagination, or some amazing foresight we don’t understand?